In Indonesia, people usually have their own story about how they describe the ghosts. But, mostly in popular media, they have iconic ghosts that become mainstream and depicted as dangerous creature in the movies. Actually, believe it or not. Indonesian Ghosts are still hard to prove in the real life except there are many stories behind these ghost, so let's me explain some of them. Is ghost creature from Indonesian Muslim culture. With white colour and looks like a mummy, pocong couldn't walk well, they jump like a frog due the bound in their feet. The pocong popularity is currently become more filmish and intended as humour for teenagers. 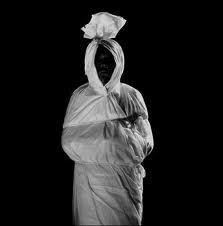 Despite there are many stories why did someone become a pocong. The only thing that people know, pocong is from someone who died with bunch of problem like unsolved debts or have revenge to the person that did bad things to him such killing. This creature usually kidnap children or babies in the night, comes from a woman who died while she was pregnant, she became a kidnapper that commit it without purpose except to hide your children or babies in the trees or someplace. To describe this creature, as popular media showed, Kuntilanak is a woman that have long hair that prevent her hair to show*so emo.., and she wears white long dress and walks around the villages to look for crying children or babies. If you want to seek for richness by supernatural creature, you may try Tuyul service. Its tiny creature looks like a child. Of course, they are children. 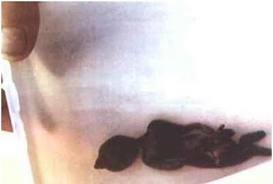 Some said that Tuyul come from abortion results and they are parentless. They can be adopted and would work for you to stole money from the society, but its not free service, you must sacrifice your wife and time to manage them. If you walk around the strange and quite places, then suddenly you hear strange voices or noises, that could be Demit/Jin. They are supernatural creature that have abilities to form their shapes into solid creature like animal or human. But mostly, they always annoy by shocking someone only, don't worry. They aren't too dangerous, they just find someone to play with them. Alright, actually there are many another creatures to explain, like Genderuwo, Wewe Gombel, Babi Ngepet and etc. But those ghosts above are more popular. Feel free to discuss. Watch out behind you!